KANSAS CITY, MO May 4, 2015 – The scene in Nepal is devastating. A 7.8 magnitude earthquake and over 70 aftershocks have caused unspeakable destruction throughout the country, claiming over 6,000 lives. Many are still missing and the death toll is expected to rise. The geography of the Asian nation impedes relief efforts, as some mountain villages are completely cut off. Landslides of what were already precarious routes mixed with debris and rubble makes access difficult for many victims in need. Constant rain compounds these challenges, and many citizens are protesting that aid hasn’t come quickly enough. Reports continue to surface about people being saved from collapsed buildings or helicopters reaching remote villages in need of evacuation. Many organizations are providing aid on the ground, along with contributions from other governments. Nepal has specifically asked for more helicopters to evacuate victims. For tourists, travel insurance is often the primary resource during such a disaster. Tourism is a primary industry in Nepal, furthering the long term damage caused by this earthquake. Though Mt. Everest is expected to be open again for climbers in about a week, the international airport at Katmandu is overwhelmed at present. There is no timeline for full recovery; the impact of this level of devastation could last decades. Donating to different relief organizations allows more specialized aid to a larger variety of the population. Don’t worry, most people aren’t familiar with local philanthropies in Nepal, but organizations like GlobalGiving.org and Give2Asia.org specialize in matching donations with recipients. Another step to diversify the donation is to wait, “Save some of what you would donate until six months from now. The situation will be very different, and your donation will still be needed.” Rea adds. With an instant gratification society, it is easy to see how this is sage advice. Once a disaster is out of the spotlight, many won’t think to donate. A financial boost in six months would greatly assist recovery. Nepal’s long term economic recovery is why the Tourism Cares Nepal Recovery Fund was established. In 2013, tourism accounted for 8.2% of GDP (allowing for direct and indirect affects), according to the World Tourism and Travel Council. 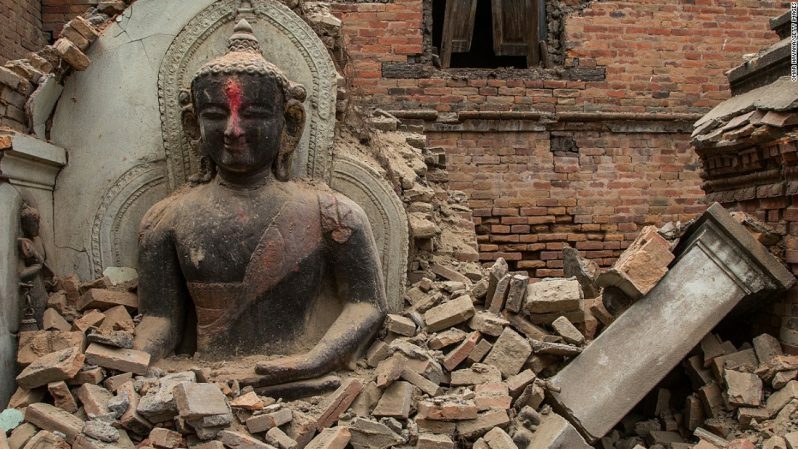 This fund will go directly to strategies for revitalizing Nepal’s tourism product and marketing, from targeted restoration and physical investments, to training and recovery funding for industry professionals. Donations are tax deductible, 100% of each donation is allocated to program expenses, and Tourism Cares is waiving all indirect administrative costs. Of course, a trip planned in the next week or month likely needs to be put on hold, but don’t completely rule out Nepal as a destination. Travel there for the experience, travel there to help. Trip Mate is the partner that leading travel professionals turn to for high-quality travel protection products and services for the traveling public. In addition to offering industry leading travel insurance plans, Trip Mate provides administrative services for claims, product design and underwriting, while helping customers with our state-of-the-art claims handling. Please visit www.tripmate.com for more information. Tourism Cares preserves and enhances the travel experience for future generations. Tourism Cares channels the philanthropic passion and commitment of the travel industry to protect and restore valuable destinations—and to support those destinations as engines for prosperity, civil society, and pride in their communities. The domestic programs focus on industry-wide volunteer events, capacity building for the nonprofit stewards of tourism sites, and scholarships and mentoring to support a talented workforce. Global efforts include corporate social responsibility partnerships, strategic investments, and advocacy and education across the travel industry. More information is available at www.tourismcares.org.